Marshaling the public in support of war absorbed more resources than before. Ideas, information, and opinions, like bullets and food, could be ordered, manufactured, and delivered according to centrally determined plans. The extent to which public opinion could be manipulated was remarkable, especially where advertising skills and totalitarian controls over media existed. 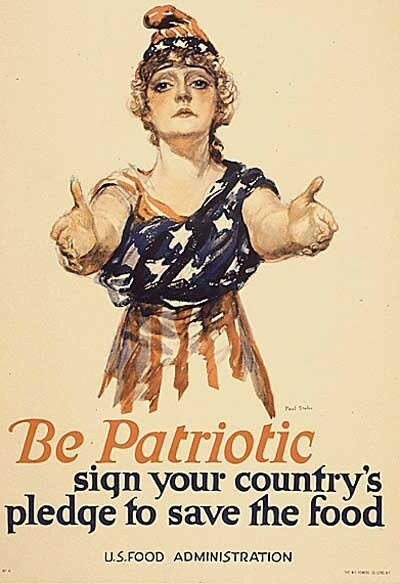 Propaganda was pervasive and intimately tied to military strategies, political leadership, and economic mobilization, indeed to every phase of the war. Propaganda permeated sermons, feature articles in magazines, newsreels and animated cartoons preceding feature movies, as well as the comics, sports sections, even obituaries in newspapers. Images and attitudes generated by wartime propaganda continue to shape our very understanding of these years. Women's participation in the American labor force grew tremendously. To fill jobs left vacant by men fighting on the battlegrounds, the government established the War Manpower Commission in 1942 to alert women to the nation's need for them to work outside the home. 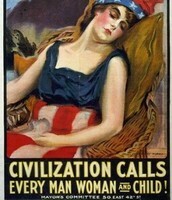 The commission advertised in newspapers, on radio, and in films, urging women to go to work and urging businesses to stay open at night to accommodate working women. 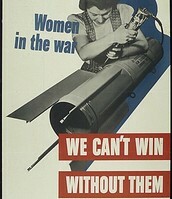 "Women During World War II." Women in America. Woodbridge, CT: Primary Source Media, 1999. American Journey. U.S. History in Context. Web. 3 Feb. 2014. 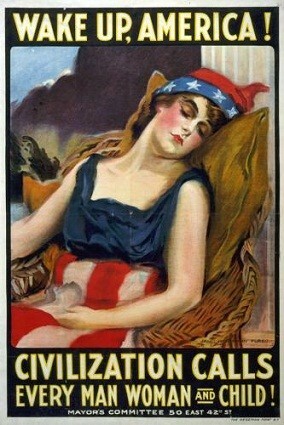 Unemployment ceased, wages rose, men and women moved from farms to centers of war production, and 12,000,000 Americans entered the armed forces. People prospered as never before. Except for sporadic rationing, especially of durable goods such as automobiles and refrigerators, Americans lived much better in 1945 than in 1941. A major industrial power even in depression, the United States became the world’s leading economic powerhouse with a military establishment dwarfing all others. 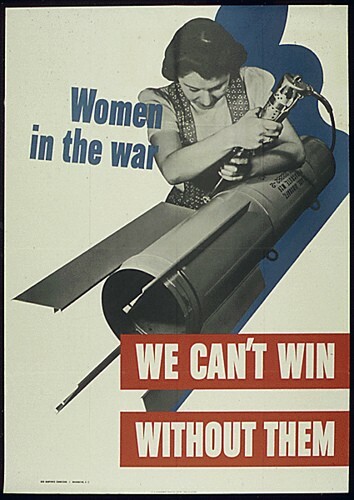 The WAAC became the Women's Army Corps (WAC) in 1942. 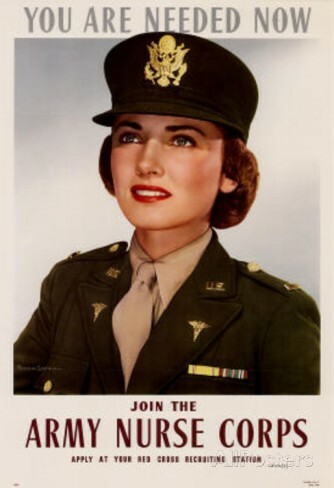 "Auxiliary" was dropped from its name in 1943, when the WACs became a branch of the regular army. Women in the WACs worked in such capacities as secretaries, clerks, and medical personnel. 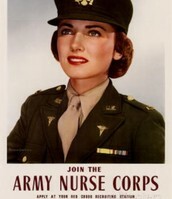 The WACs were initially only to be used duringWorld War II, but shortages in hospitals and offices prompted the war department to request the women to re-enlist. 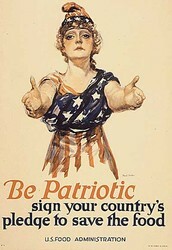 They became part of the regular army through the Women's Armed Services Integration Act of 1948. Mary Agnes Hallaren (1907- ) was the first woman to receive a commission in the regular army and served as the WAC director from 1947 to 1953.